Sterling-Lancaster Community Television, Inc. (SLCT) is a nonprofit corporation responsible for providing public access television to cable subscribers on Comcast channels eight and ten. The Executive Director and one part time Access Coordinator are responsible for providing cable access equipment, facilities, and services to SLCT members. By agreement with the Boards of Selectmen in Sterling and Lancaster, SLCT makes every reasonable effort to record and cablecast meetings of both select boards and their respective Annual Town Meetings. Other public/governmental “coverage” is discretionary on the part of SLCT and is limited by resources and available volunteers. SLCT is not responsible for producing programs requested by the general public. However upon request, SLCT will conduct classes in the operation of audio and video equipment and loan such equipment to qualified member-producers, and may otherwise assist individuals and organizations who wish to produce their own public access programming for cablecast on the public access channel. Access to public community television is an expression of your right to freedom of speech. For clarification, SLCT is not obligated to produce public access programming for individuals or organizations, but rather to facilitate it via training and by loaning equipment and providing “air” time. Organizations must take the initiative to take advantage of this community resource. Sterling-Lancaster Community Television, Inc. (SLCT) was formed to provide Sterling and Lancaster residents, organizations, agencies, and institutions with free, non-commercial television production and related services on a first-come-first-served, non-discriminatory, non-monopolistic basis. These services include video production, equipment and facilities usage and training, professional assistance, and cablecasting of non-commercial, public and educational access programming. SLCT is administered by the volunteer SLCT Board of Directors and is an 501(c)3 organization. SLCT administers 2 channels for the Towns that appear on Comcast channel 8 (public/educational) and channel 99 (Government). The content on Channel 99 is specific for each town. The Executive Director of the station is Chris Detsikas who runs the daily operations of the facility and staff. Chris brings with him extensive experience in video and sound equipment. SLCT currently has the ability to cablecast meetings of the Sterling Board of Selectmen live from the Butterick building in Sterling on Comcast channel 99 and the Lancaster Board of Selectmen from the Lancaster Community Center meeting room. 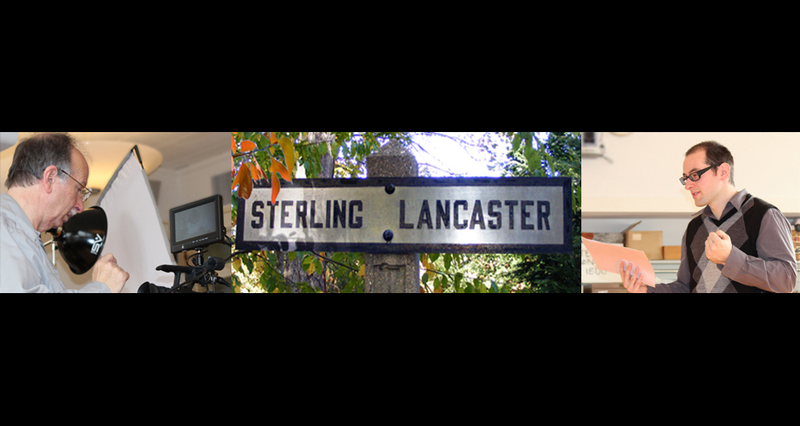 This is the website for Sterling-Lancaster Community Television (SLCT), supporting the towns of Lancaster and Sterling, Massachusetts.